Super Bowl traffic and security isn’t a game. The Harris County Office of Homeland Security & Emergency Management led the Joint Information Center (JIC) for traffic and transportation at Super Bowl 51 (SB51) in Houston. The JIC model relied on skilled partners to monitor and create effective communication for security officials and the public. 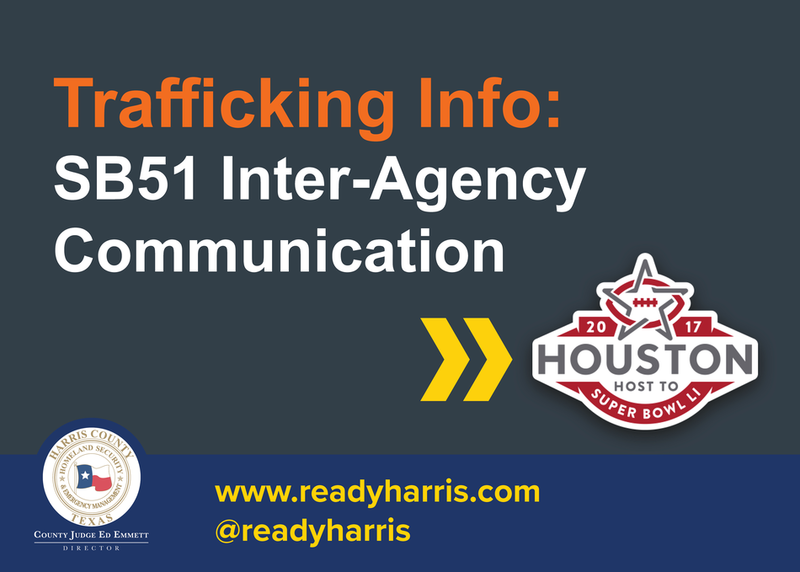 The SB51 JIC quickly resolved traffic and security issues, and can be used as a model for inter-agency communication at mass events.